One of our favorite things about serving the Marion and Middleborough community is seeing all of the beautiful views our area has to offer. Whether that’s Ned’s Point Light, the lakes in Lakeville, or the Freetown and Massasoit State Forests, our little slice of Earth is special and rare. Which is why SERVPRO of Marion/Middleborough is so invested in making sure we do our part in keeping these areas safe from harmful chemicals. By offering a full line of green products, we are dedicated to ensuring our community stays safe from pollutants that can harm the environment. This Earth Day, we reflect on all that this planet means to us and how we can ensure it stays around for a long time. Whether that’s choosing paper over plastic, using reusable shopping bags or water bottles, or simply using energy efficient light bulbs. Let’s make sure to do our part in keeping her safe, after all, she’s the only one we have. 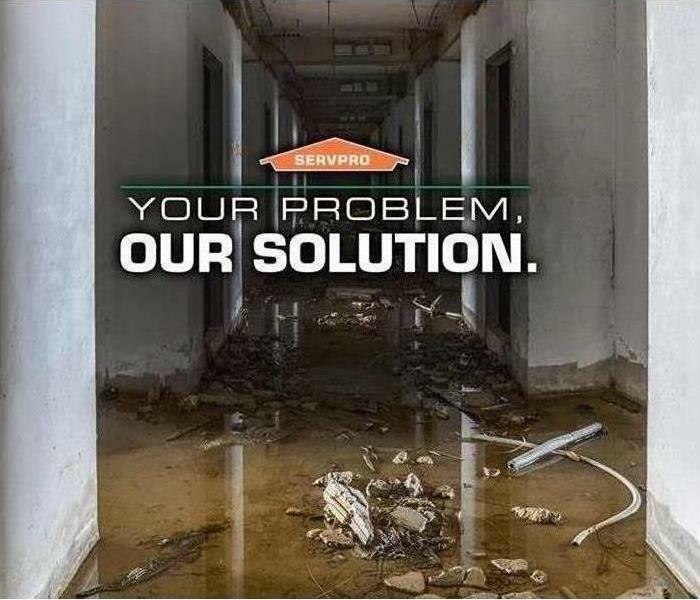 Why Choose SERVPRO for your Water Damage Emergency? SERVPRO of Dartmouth / New Bedford South is available 24 hours a day for water emergencies, large or small. When you are dealing with water damage, immediate action is crucial. A delay of just a few hours can greatly increase the severity of the water damage. We understand that when you call us, you may be feeling confused, stressed, and vulnerable. You need an expert to guide you through this crisis. SERVPRO of Dartmouth / New Bedford South has the specific water damage training and experience to help you through this tough time. We specialize in water damage restoration—in fact, it's the cornerstone of our business. 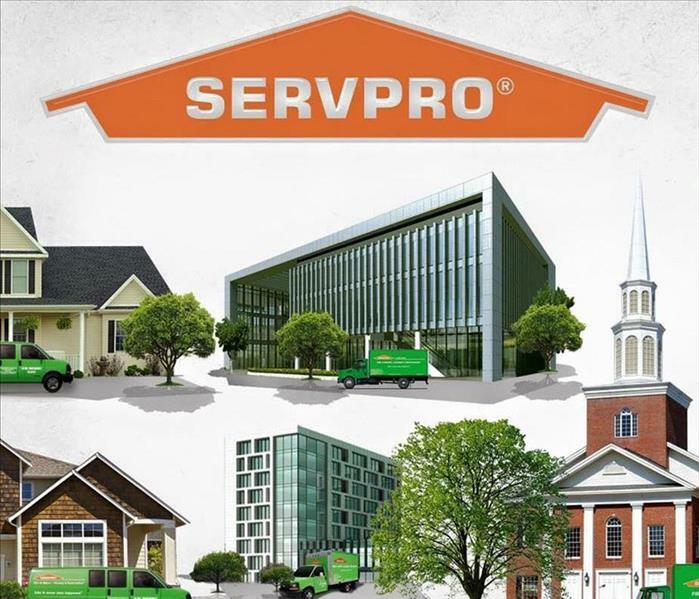 SERVPRO of Dartmouth / New Bedford South specializes in the cleanup and restoration of residential and commercial property after a fire, smoke or water damage event. Our staff is highly trained in property damage restoration. From initial and ongoing training at SERVPRO’s corporate training facility to regular IICRC-industry certification, rest assured our staff is equipped with the knowledge to restore your property. You can depend on SERVPRO of Marion/Middleborough to get your workplace looking its very best. 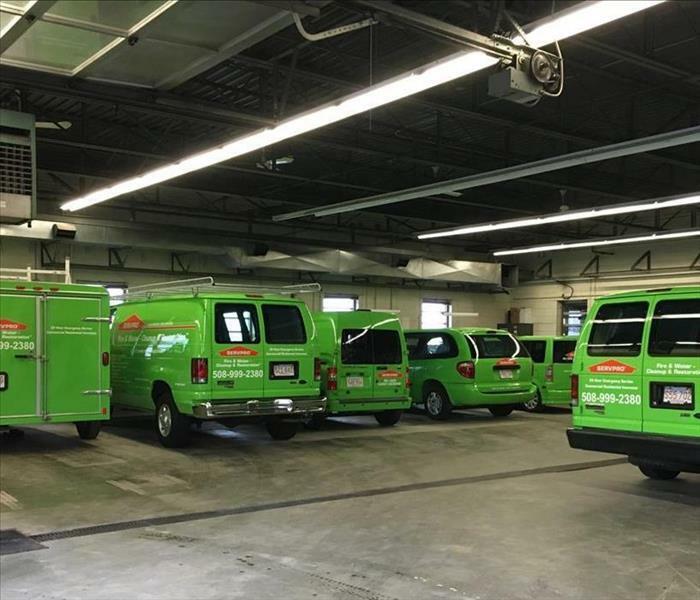 Our SERVPRO Green Fleet is constantly Growing! We take pride in our work and appearance. You can tell by the pride we all share for our vehicles. Let's face it, cars and trucks are one of the fun parts about what we get to do each and every day. Did you know? We do Carpet Cleaning! Check out this carpet cleaning job we did, can you believe how clean it is? 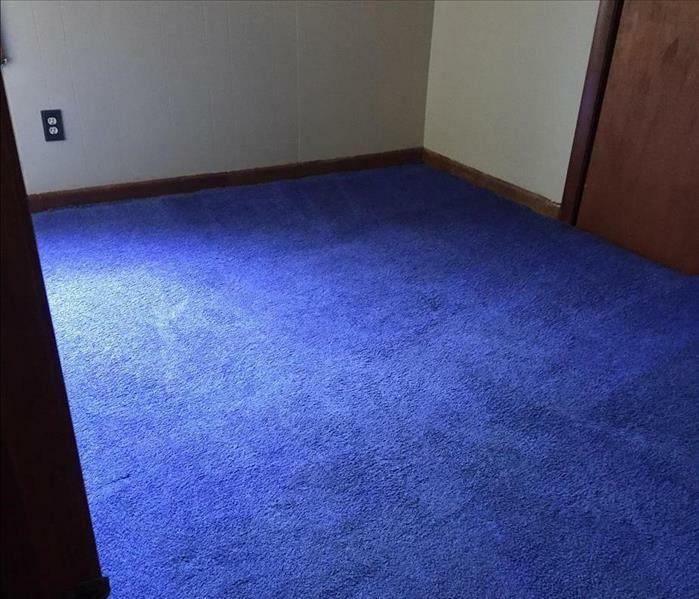 Your carpet could look this good too after SERVPRO of Marion/Middleborough is done with it! Carpet cleaning is an important routine that you don't want to ignore. Dirt hides in the deepest fibers of the material and is an important contributor in the shelf life of your investment. 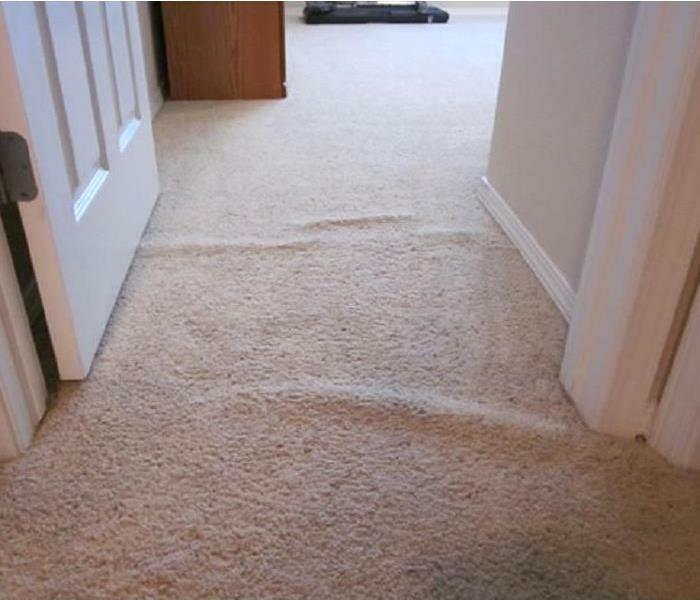 Because constant changing of your carpet is expensive, you have to take care of it to save money. It is important to keep it clean at all times. Buying and selling real estate can be fun I suppose, but it can also unearth a number of issues with the properties. Previous owners may have had pets that left stains on carpets, or were heavy smokers and there is staining and the smell is just lingering. SERVPRO of Marion/Middleborough has partnered with many local Realtors to make sure that the homes being sold and purchased in our area are move in ready. 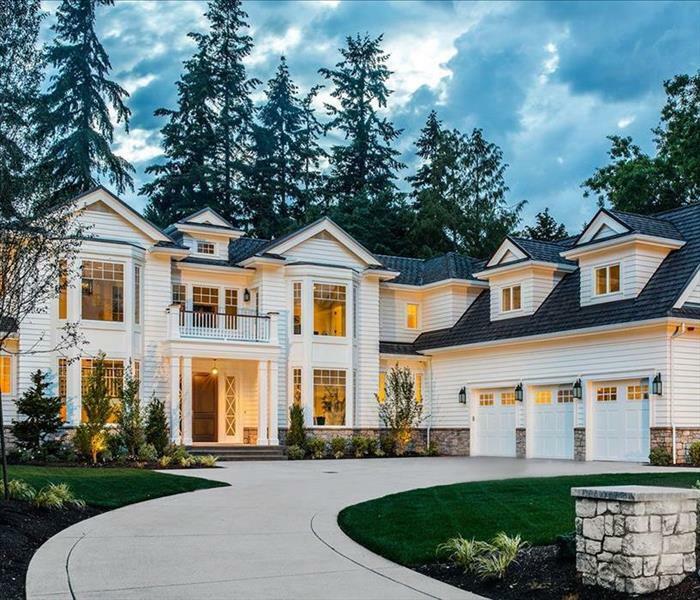 If you’re a real estate agent, keep us in mind for your clients’ needs. We offer many services, such as mold remediation and nicotine cleaning, to help your real estate transactions go off without a hitch. We're only a phone call away at 508-946-2397! An ice dam forms causing your roof to leak, a pipe bursts, a storm blows in dozens of gallons or water..... chances are your home or business may eventually suffer some sort of emergency. SERVPRO professionals are trained to respond quickly and efficiently when mitigating your business. When your home or business is under water, every minute counts. SERVPRO of Marion/Middleborough is available and ready to respond 24/7 and make it "Like it never even happened." Call us if you need us at 508-946-2397. The dreaded words no insurance agent or adjuster wants to hear because it usually means an accident or disaster has happened to your customer. 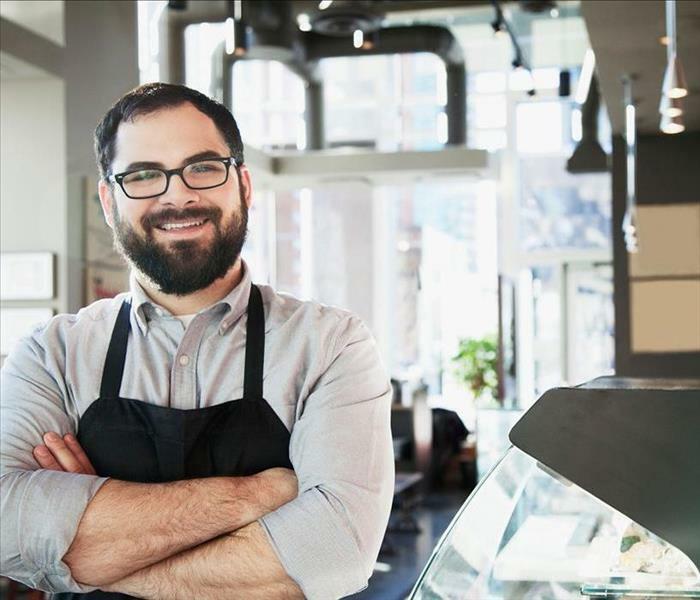 After checking to see if they are alright, you will then begin to make some calls to make sure your customer is well taken care when they need you most. So how do you choose who to call when your customer is depending on you to make their disaster disappear? By choosing SERVPRO Marion/Middleboro, your customer can rest in knowing that although damage is done, it’s certainly not irreversible. Since restoration is our first priority, we work by the rule to “Restore whenever possible, replace only when necessary.” At SERVPRO, our professionals conduct pretesting to determine the restorability of every loss. Our restore vs. replace approach guarantees a faster turnaround time that will get your customer back in their home quicker while also reducing the amount of claim costs. As an insurance professional, you’ll also appreciate holding us to our word through our transparent itemized loss inventory in an Excel formatted report. This report also includes photos of important items so you’ll know exactly what work was performed. 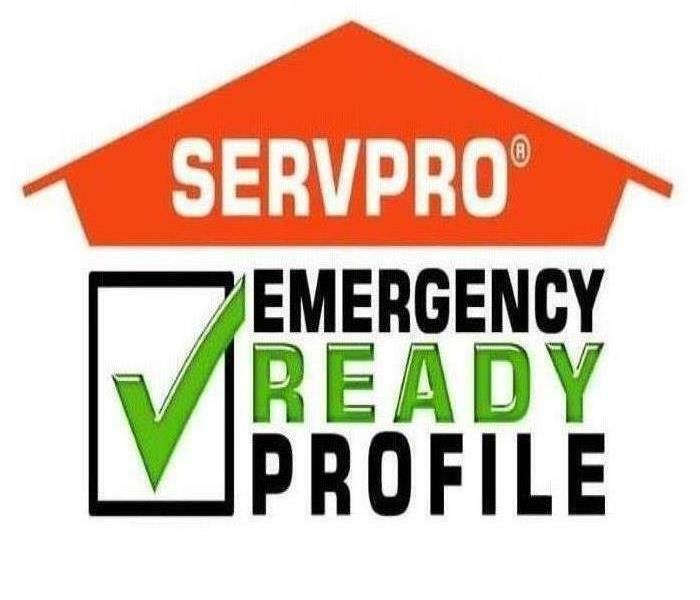 4/9/2019 - Why Choose SERVPRO for your Water Damage Emergency? 3/13/2019 - Check out Our Fleet!